A Place For Those to Find Light in Times of Darkness. Join us as we fight to end this stigma together and raise awareness for those seeking help. Depression is a common mental health issue and a major cause of disability. Depression is like cancer or a heart condition - it is serious and chronic and often goes untreated. But unlike those physical diseases, depression often carries a social stigma. Research, early intervention, education, and better access to care in all communities are key to better mental health. 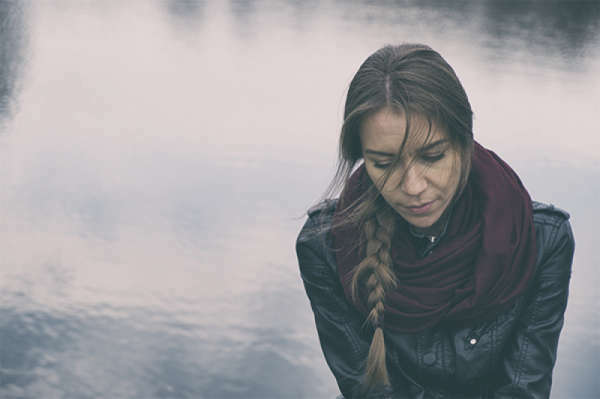 When most people talk of depression, they're usually talking about Major Depressive Disorder (MDD), which is one of several depressive disorders as clinically described in the Diagnostic and Statistical Manual of Mental Disorders (DSM). 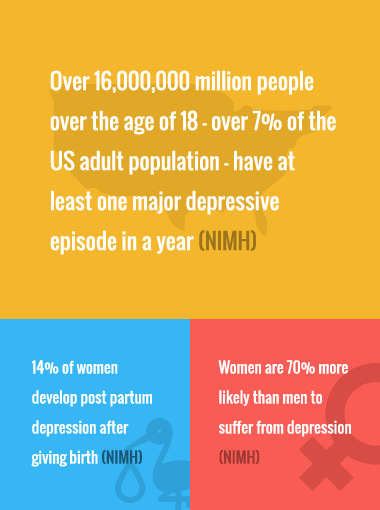 Others include such things as disruptive mood dysregulation disorder, persistent depressive disorder, premenstrual dysphoric disorder, and substance/medication-induced depressive disorder. The feature that all of these disorders share is an overwhelming feeling of isolation, despair, and sadness that the person feels every day for a minimum of two weeks. Depressed mood most of the day, almost every day, indicated by your own subjective report or by the report of others (characterized by sadness, emptiness, or hopelessness). Markedly diminished interest or pleasure in all or almost all activities most of the day nearly every day. Significant weight loss when not dieting or weight gain. Inability to sleep or oversleeping nearly every day. Feelings of worthlessness or excessive or inappropriate guilt (which may be delusional) nearly every day. In addition, the "symptoms cause clinically significant distress or impairment in social, occupational, or other important areas of functioning" and the "episode is not attributable to the physiological effects of a substance or to another medical condition." The above represent a "major depressive episode". The other two criteria as stated by DSM-5 is that "the occurrence of the major depressive episode is not better explained by schizoaffective disorder, schizophrenia, schizophreniform disorder, delusional disorder, or other specified and unspecified schizophrenia spectrum and other psychotic disorders" and there has never been "a manic episode or a hypomanic episode." The three basic approaches for treating depression are therapy, medication, and self-help including lifestyle changes. Traditional approaches with therapy will involve a trained professional like a psychiatrist or psychologist, or other licensed expert. 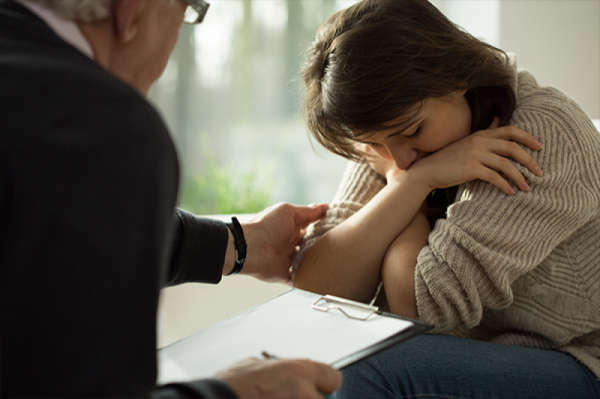 Psychotherapy may involve cognitive behavioral therapy, interpersonal therapy, group therapy, or other types of talk therapy. It is not uncommon for therapy regimens to last for an extended period of time. It is also highly likely that that your psychiatrist will combine your talk therapy with medication. Recent research has led to advances in other treatments such as brain stimulation therapies to treat depression. You might also want to search out and take part in a sanctioned clinical trial. There are several classes of drugs used to treat depression and other mood disorders. 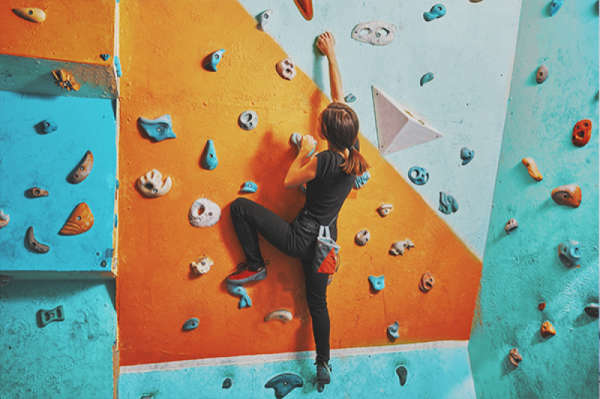 There are selective serotonin reuptake inhibitors (SSRIs), serotonin-norepinephrine reuptake inhibitors (SNRIs), norepinephrine–dopamine reuptake inhibitors (NDRIs), and other antidepressants. You may recognize brand names like Prozac, Lexapro, Paxil, Zoloft. Wellbutrin, Cymbalta, Celexa, Elavil, Tofranil, Nardil, and Sinequan. As always, they should only be taken when prescribed by and under the supervision of a physician who should also alert you to all the possible side effects. 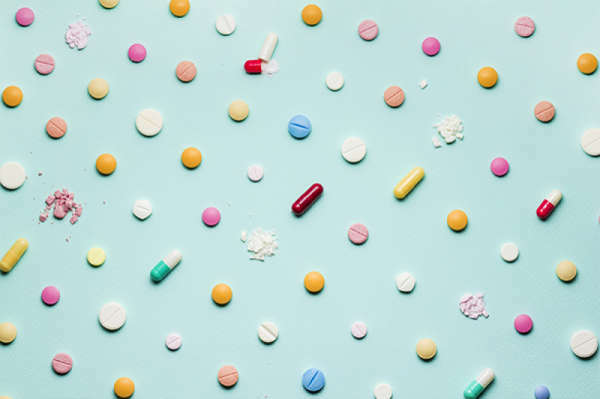 Sometimes finding the right medication involves "trial and error" so be prepared for testing out several medications before you find one that works for you. There are other actions that people with MDD can take to augment therapy and medication. Lifestyle changes that may help include: Relaxation techniques to reduce stress, Nutrition, Exercise, Sleep, and Group/Social Support. If therapy or medication are not proving effective, a psychotherapist might suggest hypnotherapy, ECT, or TMS. ECT is electroconvulsive therapy – shock therapy. TMS stands for transcranial magnetic stimulation and utilizes magnetic impulses delivered to nerve cells in your brain. New research, like deep brain stimulation, may also offer beneficial results in the future. Other treatments you may learn about include light therapy for seasonal affective disorder, and acupuncture. Hospitalization for short- or long-term is also an option for severe cases. 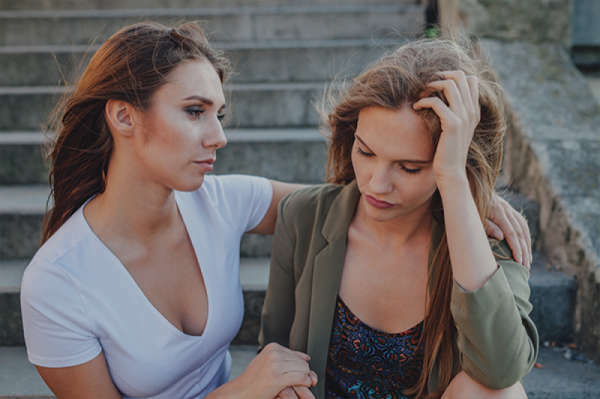 Depression can be exacerbated when it is co-existing with conditions like an anxiety disorder, substance abuse, physical problems like obesity, chronic pain, sexual problems, or social isolation. 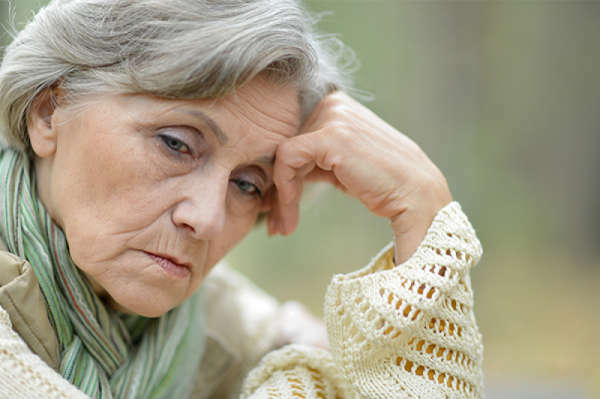 Depression in the elderly or those afflicted by dementia is another common co-occurrence. And depression is the cause of two-thirds of all suicides. 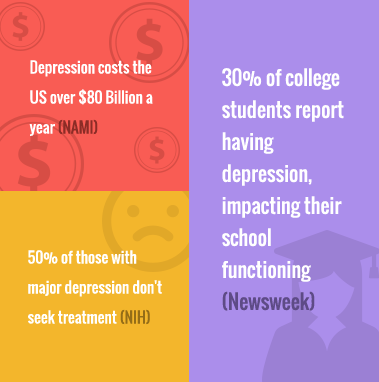 And finally, there is the problem that so many people who have been or could be clinically diagnosed with a depressive disorder do not seek treatment - whether it is a matter of not being able to afford care or avoidance because of the stigma of being associated with a mental illness. Remember, you are not alone – depression can strike anyone. The list of sufferers throughout history is long. Here's a short list.